the red carpet of the Oscars next year. 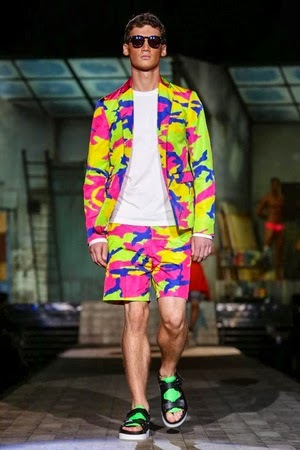 As also told in the Interview with the designers of DsquareD2 (Video - DSQUARED2 01:45) The Summer 2015 will be a trip back to the early 80s, with a lot of color and pattern and you can see in the Iceberg show that the width of clothes from 90s returns. My absolute favourite is the Iceberg collection. I, to be honest don't really find no reason but it just packed me once I saw it, their shoes the pullovers and just ALL. 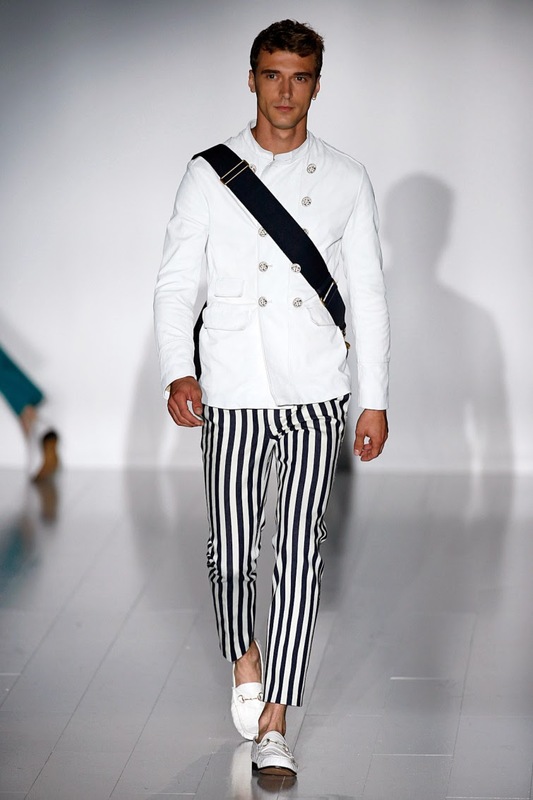 Even though I have stated that I do like the coming back of the 80s, Gucci took a step too far and let Suits look like pyjamas using striped pants and, as well a hate that goes to Gucci is the combination of suits and Bucket Bags, Bucket bags can be okay for a backpack travel, but made out of fine leather is just not a bucket bag's destiny... But I think I would still wear it though hehe. 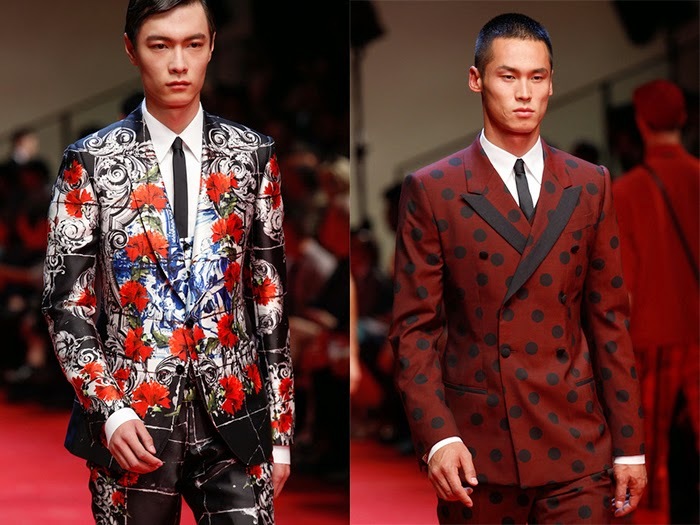 What also disappointed me (a bit) was the boringness of the Armani collection. I would have more glamour, more, more they had cool ties though.